With the announcement of the iPhone 4S and its Siri voice-integration followed by a couple of rumors that Google with introduce a similar service with Ice Cream Sandwich, we got to wondering how many people are actually interested in this type of software. Android has had Voice Actions for over a year now, but there have been other more advanced options on the market for just as long that don’t seem to get all that much love. With the unveiling of Siri, it seems like now this is the new cool thing because, well, Apple announced it. I personally have used Voice Actions or speech-to-text only when reviewing a service that has them and never in a real life situation other than to show it off as a cool feature to friends or family. I sort of get the feeling that I’m the minority. Do I need to get with the times? Are highly-advanced voice-integrated services and apps the way of the future? Or are they the next gimmick like 3D on smartphones? Do we really have to watch the world walk around our streets talking to their phones as if they were a personal assistant? Maybe. Is Having Better Voice Integration on Your Phone Important to You? Yes, I use voice-integrated apps all the time. I rarely use voice-integrated apps. No, I never use voice-integrated apps. 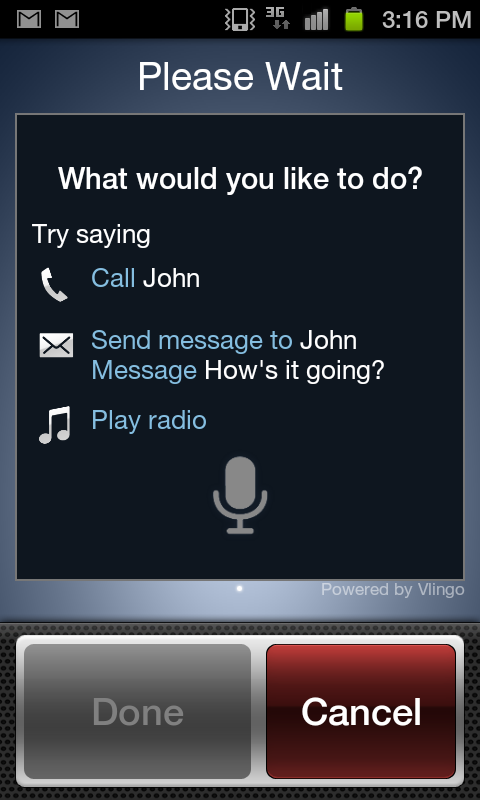 I would use voice-integrated apps more if they were improved.